Sime Darby Property Bhd launched a new initiative on Jan 12 — the Elmina Community Edible Gardens — at the 5,000-acre City of Elmina, the first themed township development in the country that is dedicated to wellness and liveability. Appollo Leong in a press statement. The gardens are one of the township’s sustainability features that were included in the development’s master plan. Over 100 plots, which range in size from 2m by 1m to 6.5m by 1m, at Elmina Central Park in Elmina West have been allocated to the Elmina Community Edible Gardens. Sime Darby Property plans to increase the allotments and will be introducing similar initiatives in other phases of the City of Elmina in the future, subject to suitability of the area, recognised benefits and response from the residents. The developer also aims to establish community gardening as a key part of sustainable living for the future. This includes linking the Elmina Community Edible Gardens with an organic waste recycling programme, which will be introduced across the township. 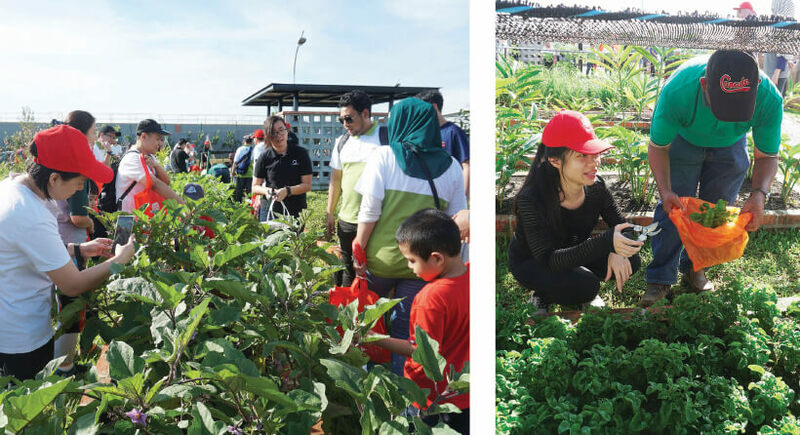 An initiative that has the support of the community and Shah Alam City Council (MBSA), the gardens will provide residents with the space and opportunity to grow edible plants and nurture healthy relationships. Sime Darby Property will assist the community to start a gardening club in conjunction with this initiative. It aims to coordinate programmes and activities with MBSA and other organisations to provide a range of beneficial activities to support the community and share knowledge for healthier living. The gardens support the township’s eight pillars of wellness, which are spiritual, social, environmental, physical, intellectual, occupational and family. Apart from providing the community with a constant food supply, the initiative will promote community resilience and togetherness — building strong and caring communities. The RM27 billion freehold City of Elmina is located along the Gutherie Corridor Expressway to the west of Kuala Lumpur. It is a combination of four townships — the 1,000-acre Denai Alam, 250-acre Bukit Subang, 1,088-acre Elmina East and 2,662-acre Elmina West. It is accessible via the Gutherie Corridor Expressway, North-South Expressway, New Klang Valley Expressway, Shah Alam-Batu Arang Highway, Kuala Lumpur-Kuala Selangor Expressway, and the upcoming Damansara-Shah Alam Highway, which is scheduled for completion in 2020. There were three launches at City of Elmina last year. In April, Semanea Hills semi-detached houses and Semanea Hills superlink houses were launched. The take-up rates for both are 98% and 96% respectively. Three phases of Elmina Green 1 have been launched, with the latest last October. The development comprises 2-storey link houses and is 80% sold.